It's late, it's late! 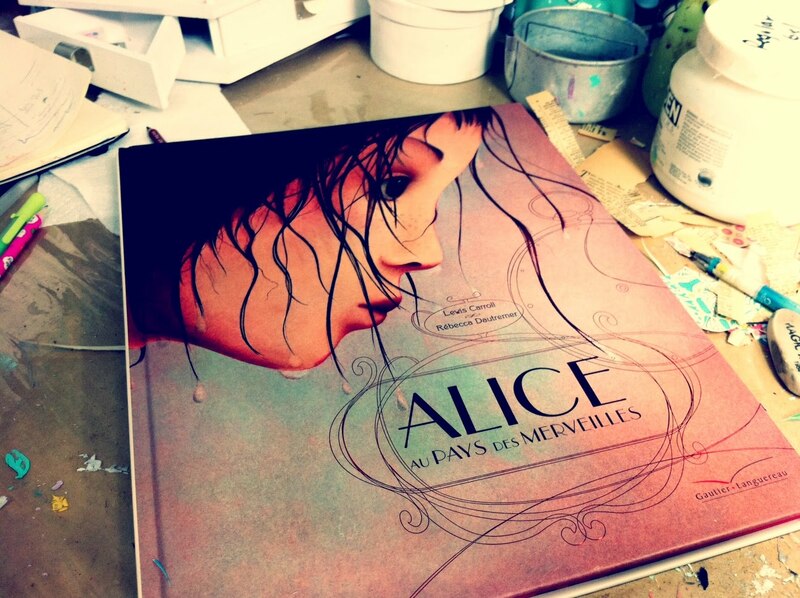 : Alice au pays des merveilles! I'm super happy with my mother's day gift from Mr. Danita! It was a belated gift because it came all the way from France but it was so worth it! 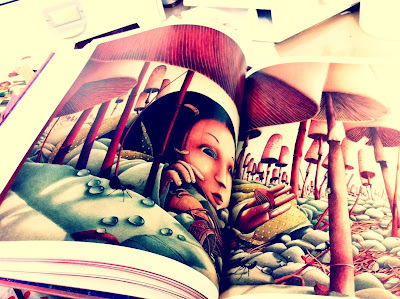 It's Alice in Wonderland (in French) illustrated by the great and unique Rebecca Dautremer! She has been one of my favorite artists and I already have a book from her and I like it a lot... but this is ALICE illustrated by HER!! I love everything about her work, but I think that what I admire the most is her skills to draw absolutely everything and make it perfect and dreamy. 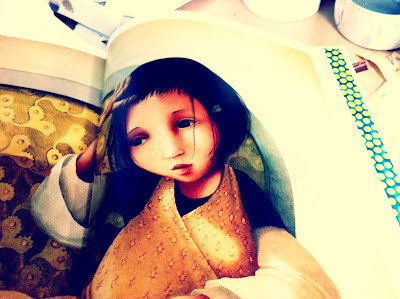 you lucky thing - what a wonderful book the illustrations are absolutely stunning. imagine being able to do work that like! What Beautiful Artwork! I can't wait to see how she inspires you, as I too love Alice. 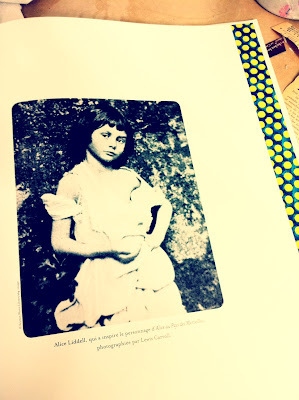 And I agree that it is nice to see the REAL Alice, no offense to the blondes out there. I am feeling the need to order that book as well. I just found an Alice hand carved chess set at a garage sale yesterday. It is so interesting, although I am assuming she is blonde just by the looks of her. I have missed you! Sorry I haven't emailed, school is busy right now. I am always prowling around your blog though :)I can't wait to see what her book inspires out of you! Hey! I too love Rebecca Dautremer and have so far four of her books. Every time I go to France or Italy I by one more, and I absolutely have to get this one as well, Alice is my favourite too! i knew Rebeccas's ilustration work at my Ilustration classes... the teacher showed us that book exactly! bellisimas fotos Dani, como logras ese efecto antiguo, con que programa? Oh, I need to get this for my daughter. And then teach her French. The last Halloween Art Of The Year!!! 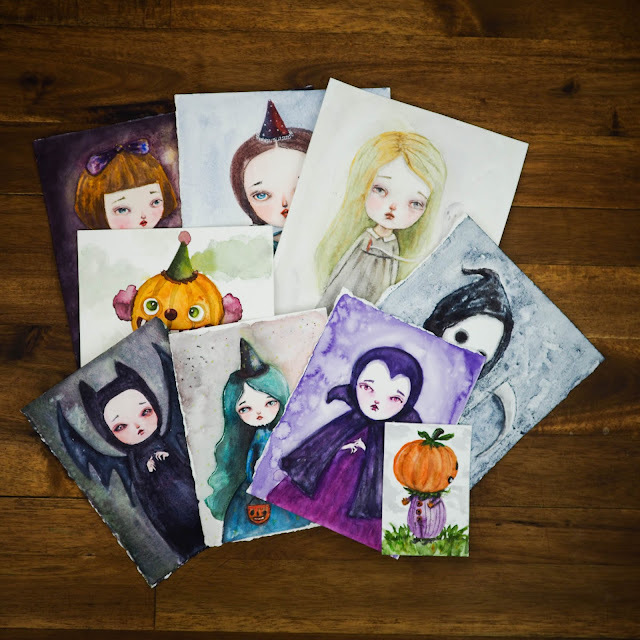 Sketching in the woods: An online watercolor painting class with Danita. All images are Copyright Danita Art 2011 . The official Danita Art blog has moved! Remember to update your links!!! !